Why Are Casinos So Popular Among the Elderly? It’s rare to walk into a casino these days and not see a solitary grandma trying her luck at a slot machine, or a group of lifelong friends playing their favorite poker game. 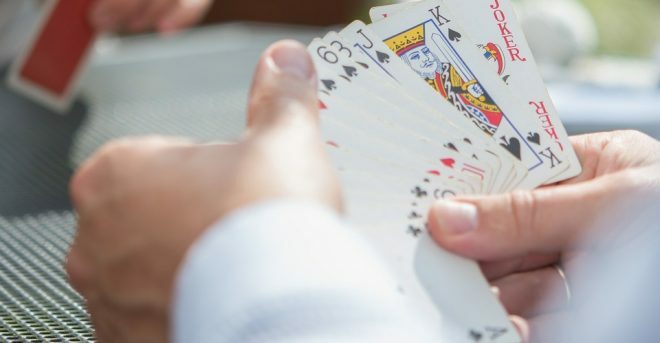 For some reason, gambling has always been especially popular among the elderly, and casinos often take advantage of this and offer incentives to keep gramps coming back for more. Many people find this fact alarming. The elderly are gambling away their life savings and pension on the 0.01% chance that they win double their money or even less likely, the jackpot. Sure, there’s the extreme outlier whose odds fall in their favor and win, but for most, these people cannot make their income back when they lose, so they continue in hopes of at least making back what they just lost. It’s a vicious cycle. Gone are the days of having to walk into a casino, purchase chips and injure your frail legs walking around the vast gambling landscape. These days, you can do it on your phone. Online slot games have become a huge hit, grossing some of the highest figures on the iOS and Android app stores. They survive on mass marketing campaigns and large sign-up bonuses that keep newcomers flowing in. Fortunately with these, you can play for free, and if you run out of digital funds, move onto the next app – there are thousands to choose from anyway. There are also browser versions of these applications, allowing the elderly to simply login and try their luck from their computer. These aren’t nearly as harmless as real-life gambling, though. Whether it be through free shuttle rides from the elderly home, delicious food buffets or senior discounts, casinos market themselves towards adults over 50 before anyone else. After all, this age group makes up the vast majority of most casinos’ clientele. There’s the lunch coupons, drug store discounts, easy access for the wheelchair bound and best of all, guest singers who, in the same years the elderly were in their prime, they were as well. It’s a grim reality, but such is the way of businesses who prey on the vulnerable. Senior citizens get bored. They get lonely, they feel like their purpose is all but lost. Promising the prospect of a fun-filled night of food, games and conversation is absolutely irresistible. A bit of retirement money and no way to really spend it? Go to the casino and you could walk out with more! These people need some sort of distraction from their mental and physical woes. Gambling provides it without the bodily harm of alcohol and the technical requirements of digital media such as movies and gaming. It’s the perfect solution. If grandma tells you she wants to visit the casino, it’s time to explain to her why it wouldn’t be a good idea. Download a couple of casino apps for her instead and turn off in-app purchases. The only thing she’ll spend is her time.